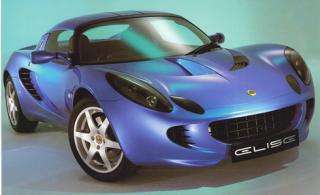 NC State will help refashion the Lotus Elise into a driverless vehicle that will compete in next year's DARPA Urban Challenge. Photo courtesy of Lotus Engineering. In a race that can only be described as futuristic, the Insight Racing team will field a driverless Lotus Elise to compete in the 2007 DARPA Urban Challenge. The team will modify the sports car with sensors and on-board computers that have been programmed to autonomously maneuver it through an urban setting complete with traffic, intersections and traffic circles – the vehicle will even have to park itself – all without the help of a human. The product of a collaboration among North Carolina State University, Insight Technologies Inc., Lotus Engineering Inc. and the Advanced Vehicle Research Center (AVRC), the technology that will guide the Elise through city streets may one day revolutionize not only the way the military performs missions but also the way that commuters drive to work each day. Sponsored by the Defense Advanced Research Projects Agency (DARPA), the Grand Challenge competition was created to answer a congressional mandate to convert one-third of military vehicles to driverless, computer-driven mode by 2015. The objective of the competition is to have teams design a completely autonomous vehicle with no human assistance that can maneuver through an urban setting while avoiding obstacles. The technology developed for the race will help DARPA reach its goal of having the autonomous vehicles perform missions that currently put military personnel in harm’s way. Today, the Insight Racing team announced that Lotus Engineering had provided a Lotus Elise to use in the competition and will modify the controls interface. The Elise represents a leap up from the 1987 Chevy Suburban used in the 2005 competition, which took an overall 12th place from an original field of 196 applicants. Entered as one of the 78 Track B teams – and the only team representing North Carolina – in the 2007 Grand Challenge, the Insight Racing team will now face several elimination rounds to advance to the final Urban Challenge event in November 2007.